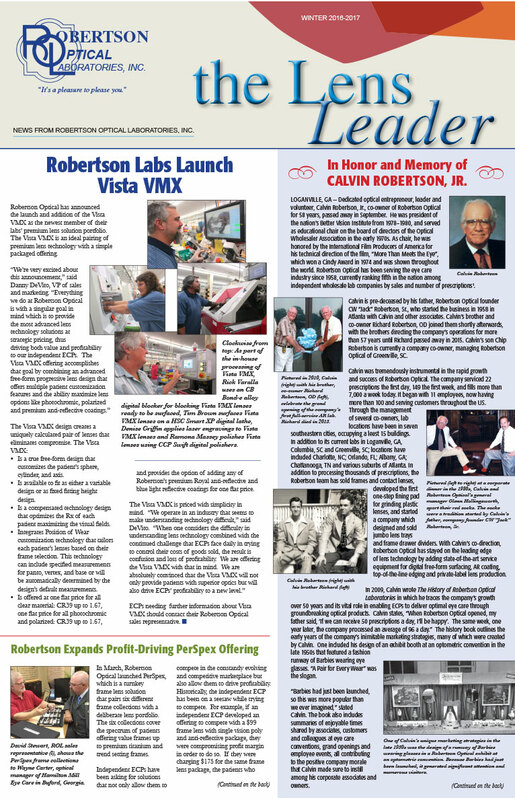 Robertson Optical Laboratories produces a quarterly newsletter, the Lens Leader, which can be viewed on this site, and mailed or emailed to you. The Lens Leader provides news and features about the latest products and services offered by Robertson Optical and current trends in the optical industry. As an eye care professional, if you would like to receive the Lens Leader, please contact one of our optical labs (see our Contact page on this website).